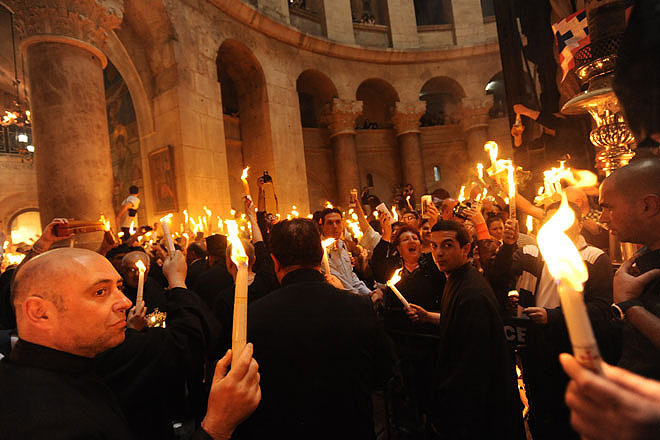 Holy Fire Ceremony in the Holy Sepulchre. 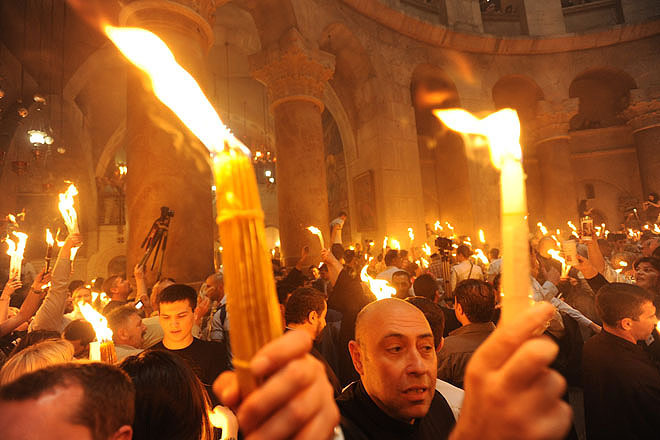 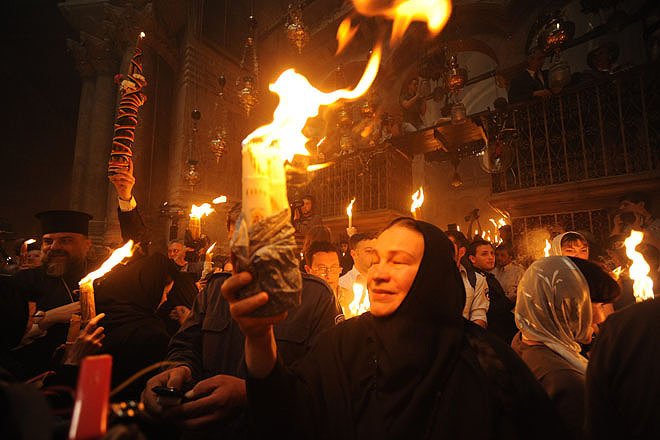 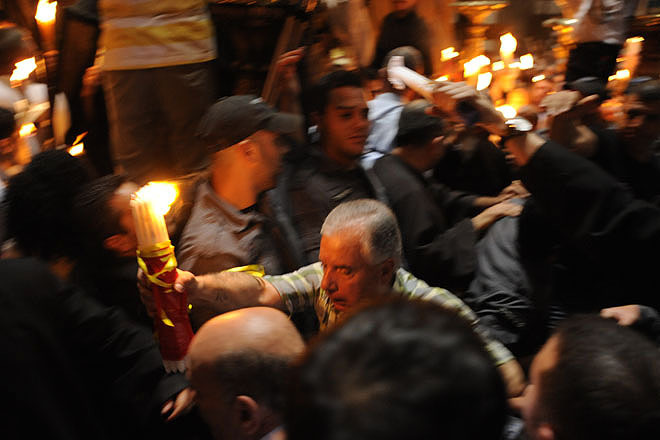 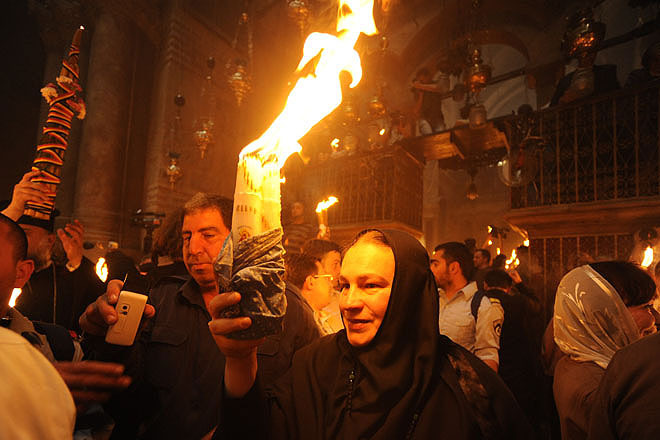 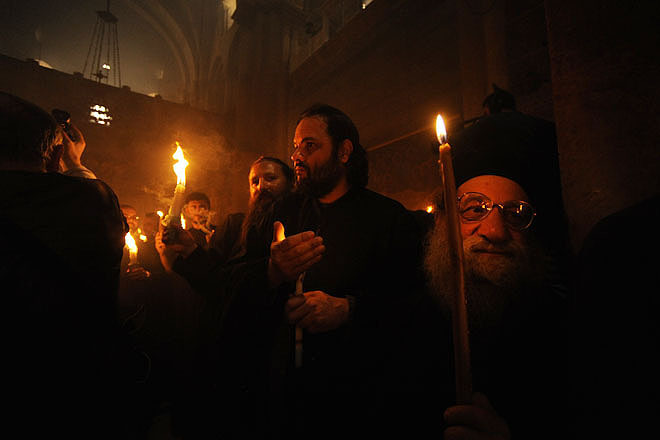 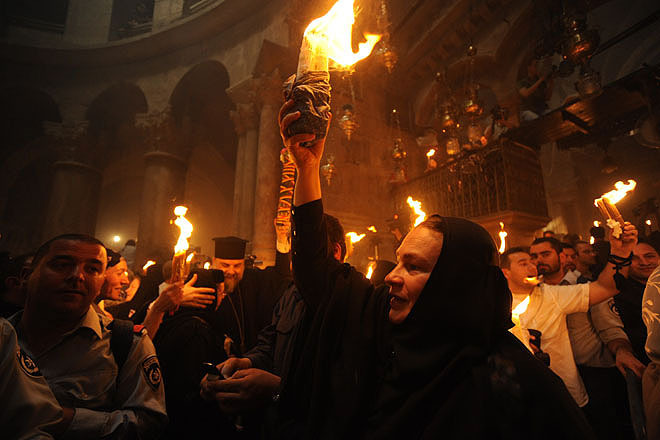 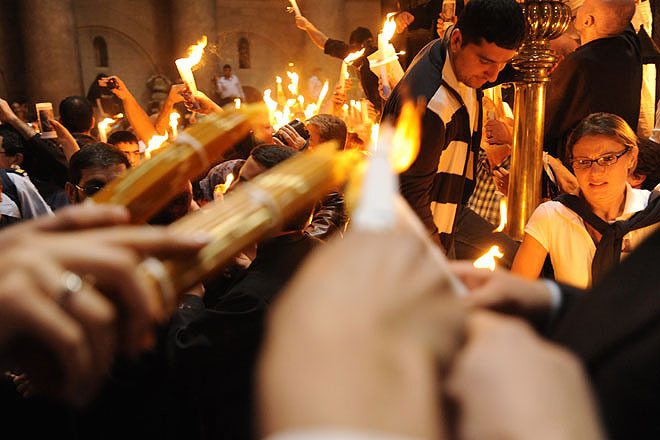 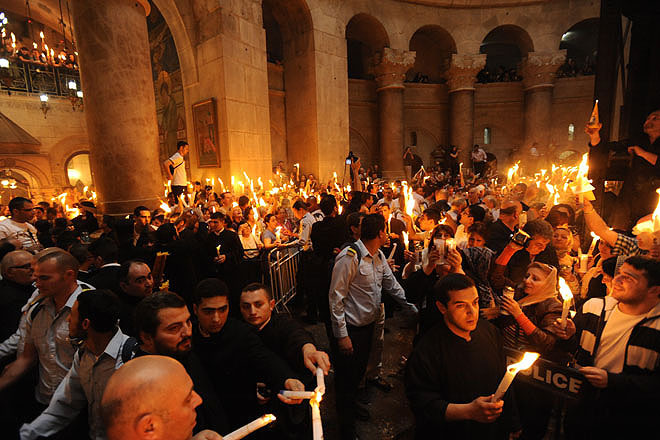 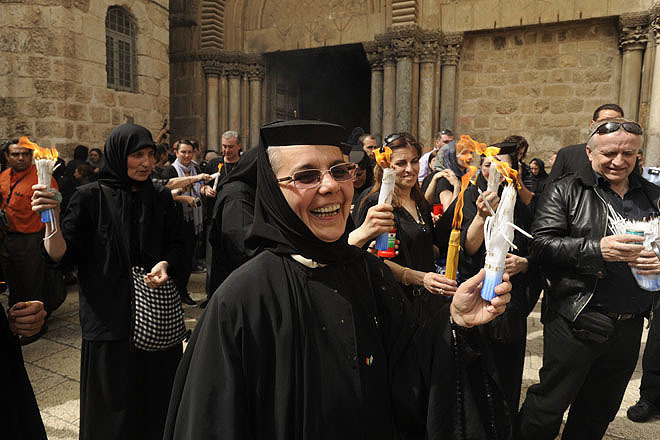 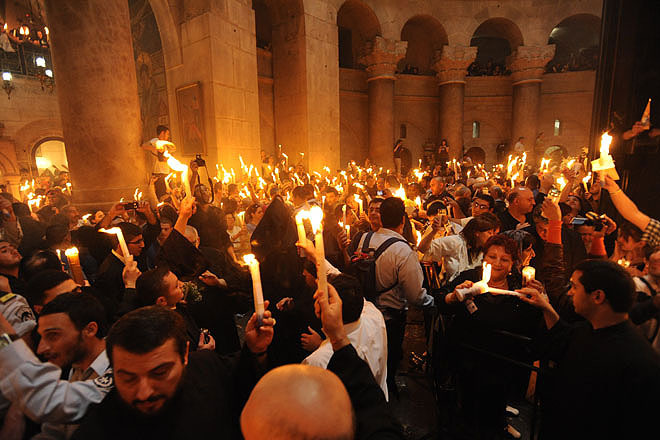 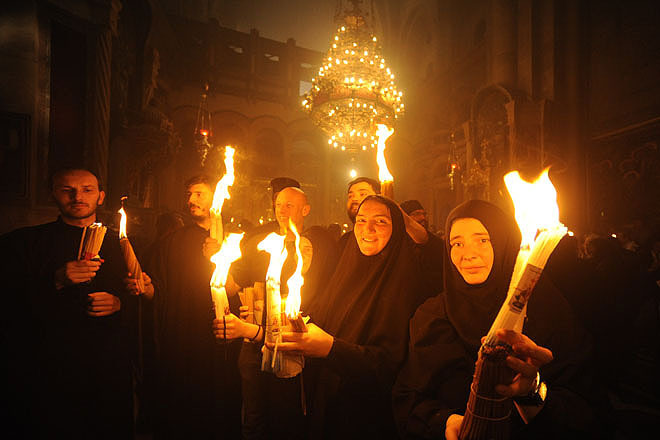 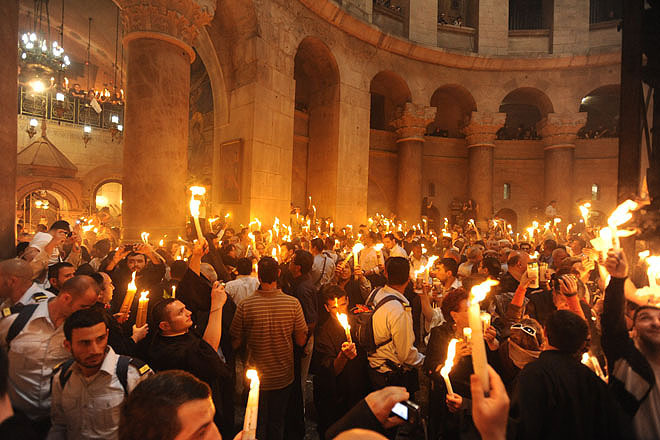 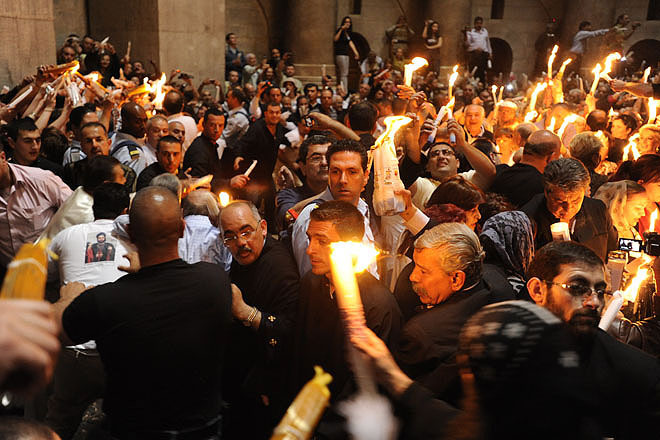 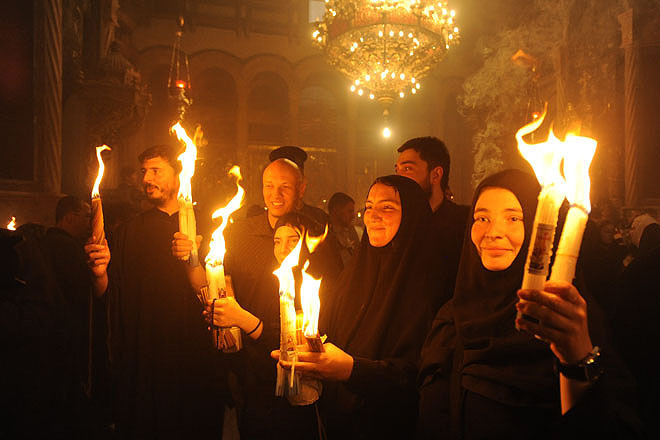 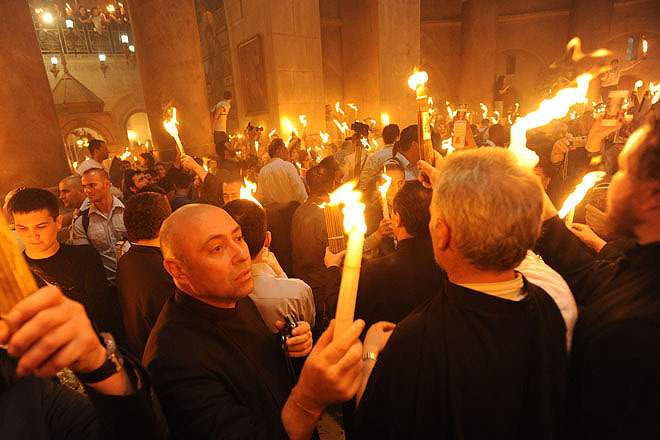 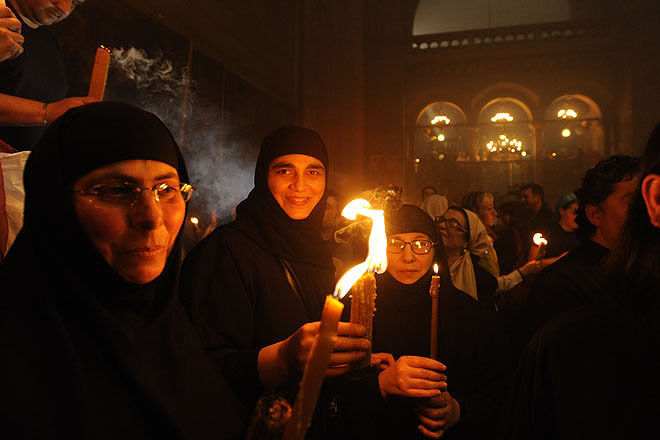 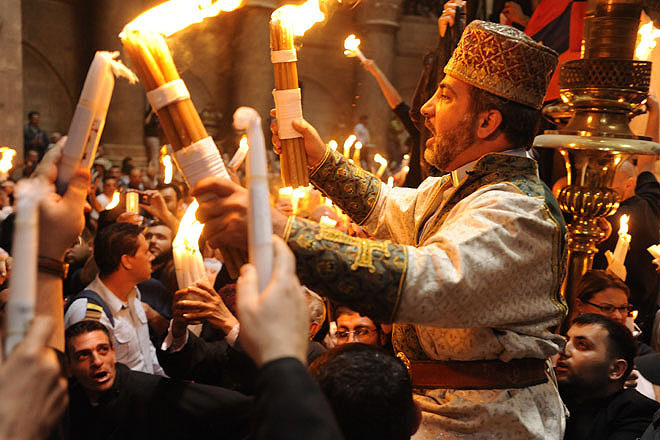 Pilgrims leaving the Holy Sepulchre with the "Holy Fire". 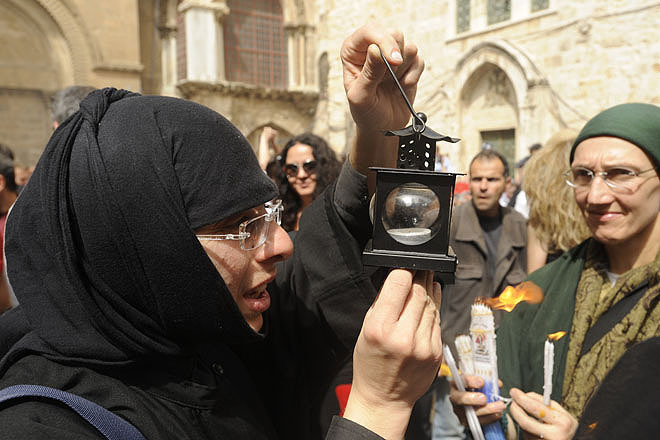 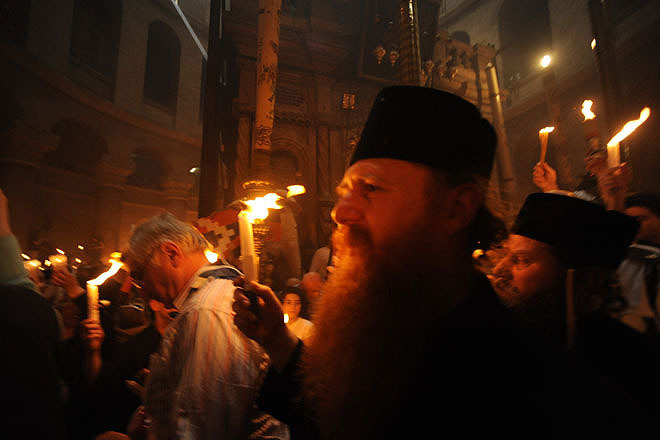 Pilgrim leaving the Holy Sepulchre with a lamp with the "Holy Fire".